Department of Art | FSU’s Department of Art Welcomes New Visiting Assistant Professor in Sculpture Rotem Tamir! Home » News » FSU’s Department of Art Welcomes New Visiting Assistant Professor in Sculpture Rotem Tamir! 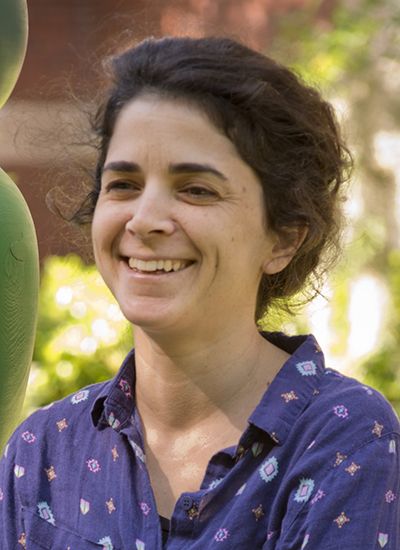 FSU’s Department of Art Welcomes New Visiting Assistant Professor in Sculpture Rotem Tamir! The Department of Art is pleased to welcome Rotem Tamir as our newest faculty member for the 2016/17 year! Rotem will be teaching sculpture. Rotem Tamir is an Israeli artist who attended Bezalel Academy for Arts and Design in Jerusalem before coming to the U.S. in 2011 to complete her MFA in Sculpture at Virginia Commonwealth University. In 2013 she received the Toby Devan Lewis Fellowship award for her exceptional thesis work. While living in Tel Aviv, Tamir exhibited her work in numerous venues including Kav 16 Gallery, Artists House, and Fresh Paint Contemporary Art Fair. Since moving to the U.S. she has participated in the 7 Below Artist Residency in Vermont and Sculpture Space in Utica and her work has been included in exhibitions in Burlington, Vermont; New York; Richmond, Virginia; Washington and Gainesville, Florida where she was a Visiting Assistant Professor of Sculpture at the University of Florida from 2014 to 2016.